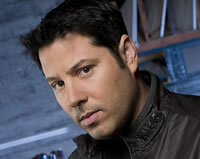 Matt Parkman is a police officer who has the ability to read minds. Matt Parkman was married to Janice Parkman. The exact date of their separation is unknown, however it is known to have happened between the four months of between the events of How To Stop An Exploding Man and Four Months Later. Matt Parkman is currently taking care of Molly Walker, who most likely requested him personally. For the first part of Season 1, Matt Parkman was a police officer. In the first episode of Season 2, "Four Months Later..." Matt Parkman passes his exams to become a detective. This page is a stub. You can help by expanding it.